Picture framing is a detailed craft that has evolved over many hundreds of years. 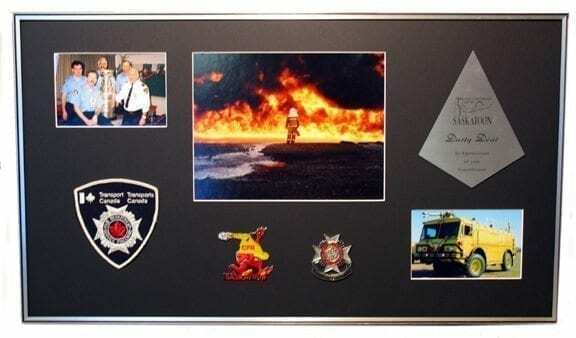 Archival matting and backing have become the standard. The patented framing technology and improved materials we use will not only slow paper degradation and neutralize acid by-products . In addition they will also protect against damaging pollutants. At J & S Picture Frame Warehouse, our business is to ensure your precious items and works of art will be enjoyed now and for many future generations to come. J & S Picture Frame Warehouse serving Saskatoon area since 1978. Our friendly knowledgeable and passionate team strive to offer the best custom framing and specialty printing experience in Saskatoon. With expertise in framing artwork, photos, needlework and all types of memorabilia, our team can help you determine the best presentation and preservation for all your items.All projects are completed in-house and we also have a wide variety of inventory such as molding, mates and ready made frames. We also do scanning, and photo restoration. Our printing department offers scanning, giclee printing, large and small format printing. We also offer canvas printing, photo and document touching and restoration. Be assured, all of our services are done on site, expeditiously and always with quality in mind. Our expert team take the time to carefully evaluate each item to be printed and adjustments are made accordingly so your prints always look their best. Your memories are safe in our hands! J & S Picture Frame Warehouse simply offer the best selection of materials to preserve your treasures, keepsakes and works of art. All work is completed with superb craftsmanship, expert advice and friendly service. If you are looking for a local team to make the most of your family pictures, paintings, prints or to make heirlooms look their best again contact us today! They were terrific people! Very friendly and helpful. Awesome shop and great people. Highly recommend J & S for picture framing. They have a vision that comes to life in the pictures you give them. You will not be disappointed. AMAZING ….U WANT PERFECTION GO SEE SHERRY.. OH AND KANE ! J&S Picture Frame Warehouse have been given ‘ the Thumbs up’ by Trustedsaskatoon.com. They clearly demonstrated to TRUSTED that they offer remarkable customer service ..and they care ! Their customers raved about them, they said they wouldn’t trust anyone else with their special photos, memories and pictures, and as a client myself I agree! ! We are proud to promote them on the Saskatoon Directory of excellence as your Trusted Saskatoon framers!